Ryan...your work background as a Moris Code technician has no doubt enhanced this gift you have. Fascinating! 1 This is a response to a friend of Linda's and I who runs a community center in Barrie. She mentioned that Danny's recordings are quite fascinating and also mentioned that my Morse Code training was paying off. In 1975, I was in the military and won the award that year for Morse Code. I later went on to be chief instructor in the first Morse Code Training course for infantry personnel in London Ontario, and later taught it at the Canadian Forces School of Communications and Electronics Engineers. This is the response that Danny gave. As always though, I am slow at responding to comments like this, so I guess I am going to have to change that. Response to Yolanda post on Facebook. (for) you get trust from a policy of changes and must be very attentive so you can give a quick comment to each comment towards your past. (rev) Ryan's slow at acknowledging you, even when it's favourable. We know you've listened to recordings that he has done. (for) Uh, huh. We do recall his right to a trophy and we praise that. If we could all learn what you've done it could be viewed. (rev) We believe your kindness and your honesty has changed the future of the community of Barrie. That is nice. Hi Yolanda. Sorry for not responding sooner and thanks for the comment. Yes, you are correct about my experience with Morse Code helping me with translating budgie speech. In 1975, during trades training, I won the Morse Code trophy that year. 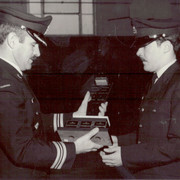 I later went on to set up and be the chief instructor for the first Morse Code Training Program in 1 RCR London, Ontario, and then later I was the main instructor for the first (on the Job Training) Morse Code training program for the Canadian Forces School of Communications and Electronics Engineers in Kingston Ontario. I will post a picture of me receiving the trophy. An incredible thing happened when I started doing another translation for Danny. It seems he has a response for your post which I will also include in this thread. Here is the pic.I also said I would post the video of Danny's response. 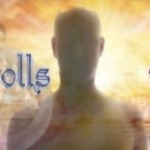 Again this is quite miraculous because Danny says he is connected to the spiritual world and can relay messages from the angels. This may sound unbelievable, but if you listen with headphones on you should be able to pick up most of the forward speech. The reason I say forward speech is that after many years of studying budgie speech I discovered they have an incredible connection to the spiritual world that allows them to communicate in reverse at the same time they are speaking in forward mode. Each section of the forward phrase is broken down and reversed which uncovers the hidden messages. The reason for this is that most people might thing that I am training him to say these things, which I am not. So if you listen to the reverse parts and can hear some of what he is saying as it relates to the forward speech, then it proves that he is speaking his own thoughts and not something I taught him. He actually says your name Yolanda in reverse as well.